With its dainty finger sandwiches, cream scones and sponge cakes, afternoon tea is a quintessentially English indulgence. And whilst Manchester doesn’t have a reputation for daintiness, no one can say we’re not fond of a good afternoon tea! 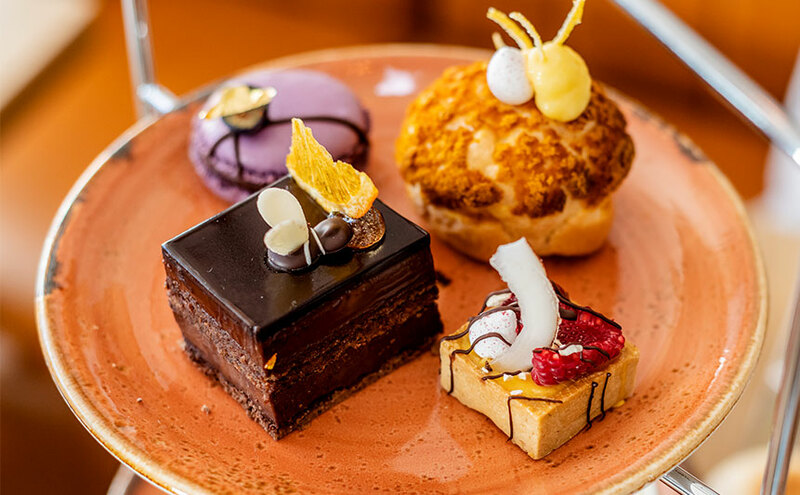 Taking pride of place are the Vimto macarons and Manchester tarts, alongside an indulgent chocolate orange opera cake topped with a Manchester bee. And of course, afternoon tea wouldn’t be afternoon tea without giant, fluffy home baked scones served with Chantilly cream and an assortment of jams – we’ll let you decide whether it’s cream then jam or jam then cream! For those who love a bit of savoury, there are also chunky tuna mayonnaise wraps, an oven bottom muffin filled with locally-sourced ham and wholegrain mustard, and crustless egg mayonnaise finger sandwiches. 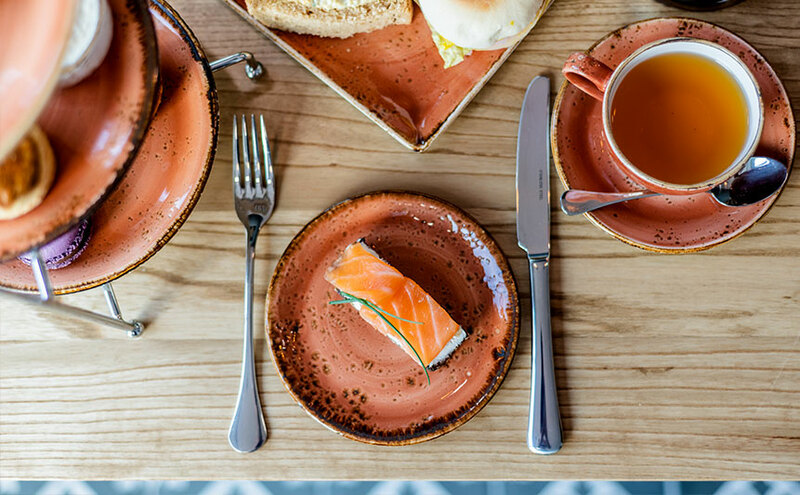 The afternoon tea is served with a choice of either single origin coffee which is roasted just down the road at Salford Roasters, or a selection of loose leaf teas from Denton-based producer Tea from the Manor. Our Afternoon Tea is served every day, between 12pm and 5pm.